Sydney was built around its beautiful harbour, yet not far from the city there are large swathes of natural parks, sandy beaches and gorgeous coastal areas on the Central, North and South Coast. Then there is the Hunter Valley, Australia’s oldest wine growing region, while to Sydney’s West, the Blue Mountains. In the north-east is the stunning valley of Hawkesbury. 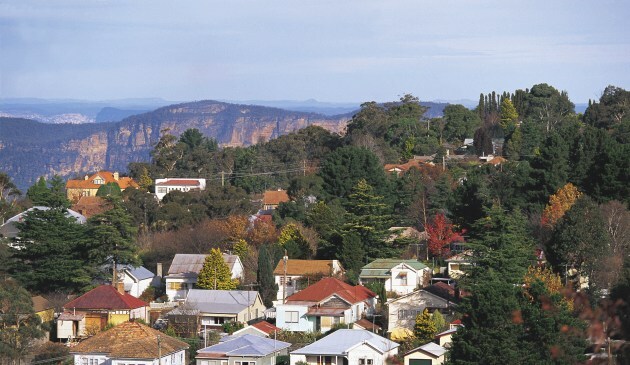 About an hour and a half drive from the city today, the Blue Mountains in the surrounds of Sydney has been a popular getaway since the 1860s, when the rail line was first built. In fact, it was popular well before that, with horse drawn coaches from companies such as Cobb & Co. taking people to the little mountain villages dotting the route and further west. Superb scenery flows along Illawarra Coast and the South Coast, starting about an hours drive south east of Sydney and extending all the way to Victoria. Dotting the coastline are charming fishing villages, stunning beaches and magnificent National Parks. The hinterlands has a thriving dairy industry, with lush pastures on rolling hills set against the backdrop of the rising escarpment of sandstone on one side and the sparkling ocean on the other. Exploring by car is a good way to explore Illawarra and the South Coast, although there is a train service from Sydney to Wollongong and Kiama - Bomaderry and a number of bus services. 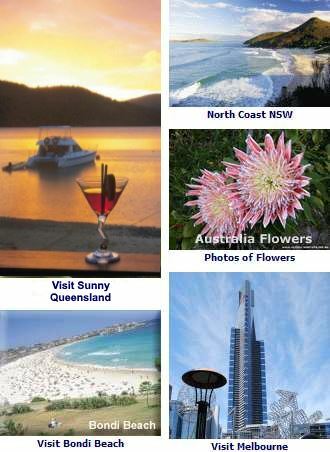 Set between the Southern Highlands NSW and the South Coast, is the scenic Kangaroo Valley. Preserved for posterity, this valley is a wildlife refuge but has also kept its heritage with the early settlers small farms and stony cottages. North of Sydney is the compact but scenic Central Coast. Easy to reach via the M1 Motorway, Gosford is the first main stop. From there, it is easy to reach the many beaches, lakes and national parks that grace this region. To the North West, but still only an hours and half drive away, is the Hunter Valley. This region grows superb wines and has developed into a wine and gourmet paradise. Canberra, the capital of Australia, is a six hour’s drive South West of Sydney. You can find a wonderful collection of Australian National Museums and Art Galleries to visit.